How to fill the JnanaBhumi Scholarship(Fee reimbursement ) Application Form(J-SAF): JnanaBhumi Scholarships Online Application Form(J-SAF)/JnanaBhumi AP Scholarships Web Portal: jnanabhumi.ap.gov.in / JnanaBhumi Post matric Scholarships to AP Students/ JnanaBhumi AP Postmatric scholarships(Fee reimbursement) fresh and Renewal J SAF application form 2017/ AP Post Matric Scholarships(PMS)/Fee reimbursement to SC/ ST/ BC/ EBC/Minorities/Differently Abled category Students. The extensive scope, coverage and complexity in bringing about the convergence of the Education & the Post-Matric Scholarship system onto a single platform viz. JnanaBhumi, The JnanaBhumi Web portal will Go-Live with effect from 9th June, 2017. 2 MEE SEVA CASTE CERTIFICATE has permanent validity. 3 MEE SEVA INCOME CERTIFICATE is valid for four years from the date of issue. 4 Call PEOPLE FIRST HELPLINE 1100 for any information/register grievances w.e.f. 21st June 2017. 6 Fill the various identity numbers required in the application form or bring the original. 8 Mobile number Registered on this form will be used for all Post Matric Scholarship transactions & for all communication purposes and for OTP authentication using this mobile number. 10 Email id of student Registered on this form will be used for all Post Matric Scholarship transactions along with mobile number for all communication purposes and for OTP authentication. 12 Student shall retain the duly student copy of this application form, duly signed and stamped by the admission in charge. 14 Student can collect Rupay cards for their respective bank accounts & in case of any difficulty the issue can be raised to the Deputy Director, Social Welfare. 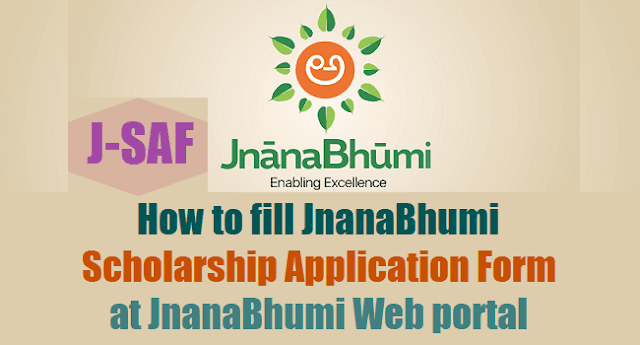 15 After the submission of JnanaBhumi Scholarship Application form, the student will receive their userid and password on the mobile number and email id mentioned in the scholarship application form. 16 Student needs to confirm/update their Post-matric Scholarship related details in the JnanaBhumi portal and submit it back to college principal. 17 Student will need to complete biometric authentication for their Post-Matric Scholarships within 15 days of the date of admission. 1. Issue Public Notifications to students highlighting the changes in process, documents & timelines mentioned in this order & inform the Social Welfare Department(On or Before 16th June).